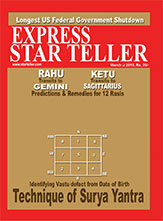 Express Starteller is India's Largest selling Vedic Astrology Magazine, widely subscribed the world over. 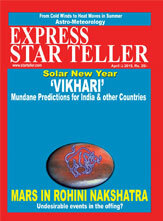 You can order it now using our Secure On-Line Form and get FREE consultations and remedies from our team of expert Vedic Astrologers. 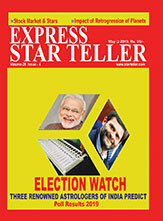 The magazine would be delivered to your doorstep within 5 business days. Get Precise Answers through Prasna!